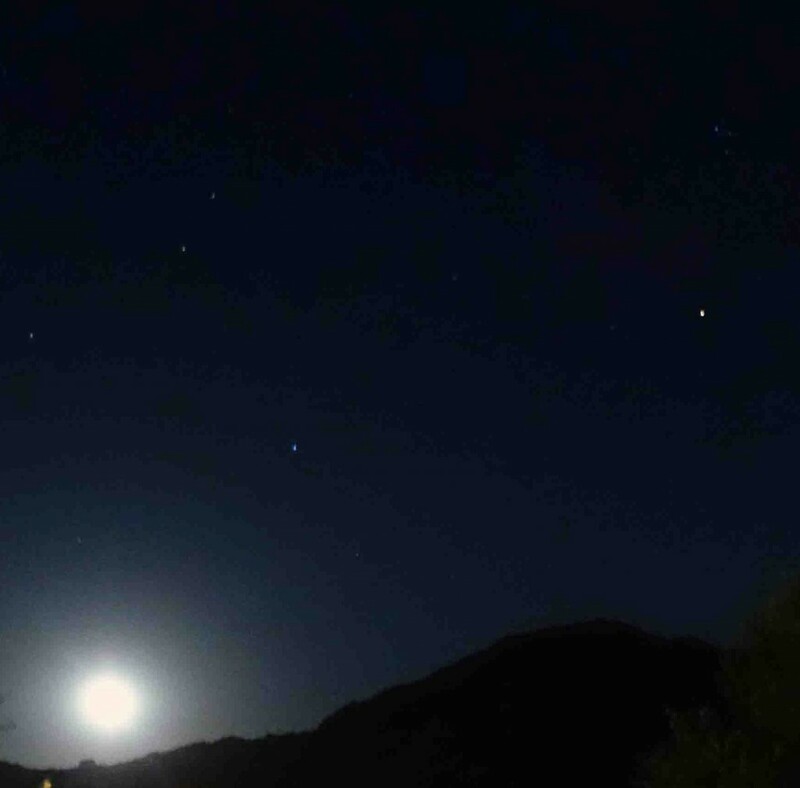 You ever have one of those nights where the stars align? Where you find yourself with plans to beat all plans? 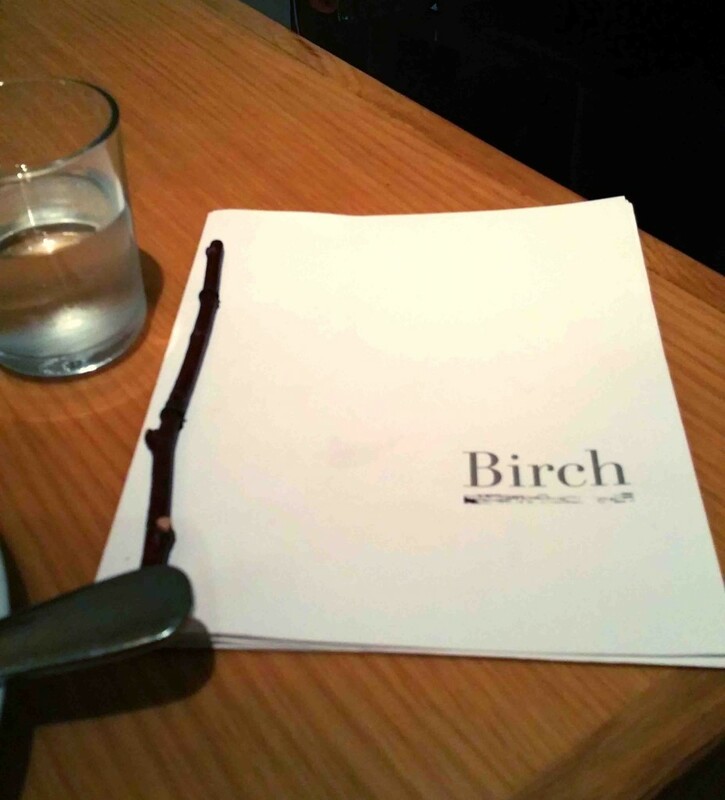 Over the weekend, Mister and I went to dinner at a less than a year old joint called Birch. Located in Hollywood, it’s across the street from the Hotel Cafe, where Mister and I were slated to see a show that night. For those of you who aren’t local, let me tell you how thrilled we were to know we could simply park once, instead of shuffling around and searching for multiple, elusive spots. The night was looking good. So we got to Birch for our rezzie and I admit, we were pretty excited. There’s been a lot of amazing press for the British chef running this place, Brendan Collins. And based on our visit, he deserves each and every accolade. 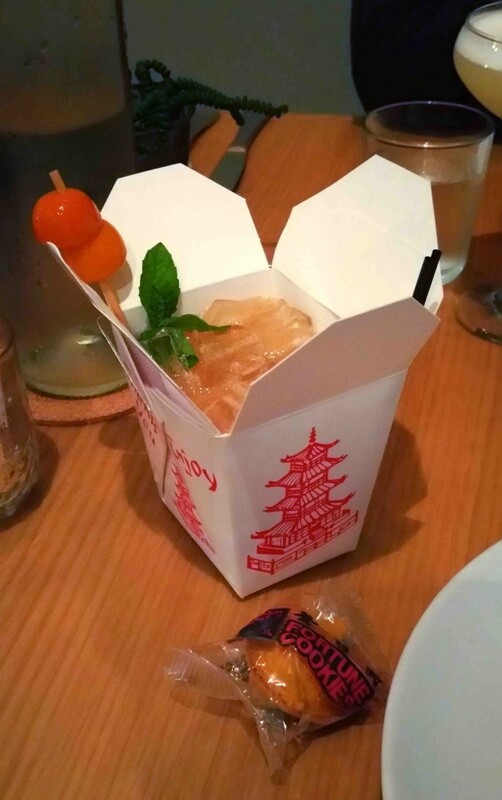 We tried a variety of dishes and all were memorable. Honestly, everything we tried was aces – and then some. Unfortunately, when I made the reservation on Open Table, they listed the restaurant as being a “tapas” scene, so Mister and I over-ordered, thinking we were getting small plates. But we did not get small plates. We got full servings of beautiful, fabulous food. And before we knew it, we’d eaten all of it and it was so, so good and each morsel led to oooos and aaaahs and we were already talking about coming back and maybe we could hit the Sunday Roast and isn’t that good and what a surprise this is and oh my goodness – my pants are too tight. Phew! To our credit, we did resist ordering dessert (and I really, really wanted to try that Skillet Toffee Pudding). We finished dinner and waddled across the street, saying in one breath how great our dinner had been, and in the very next breath saying how bloated we were. 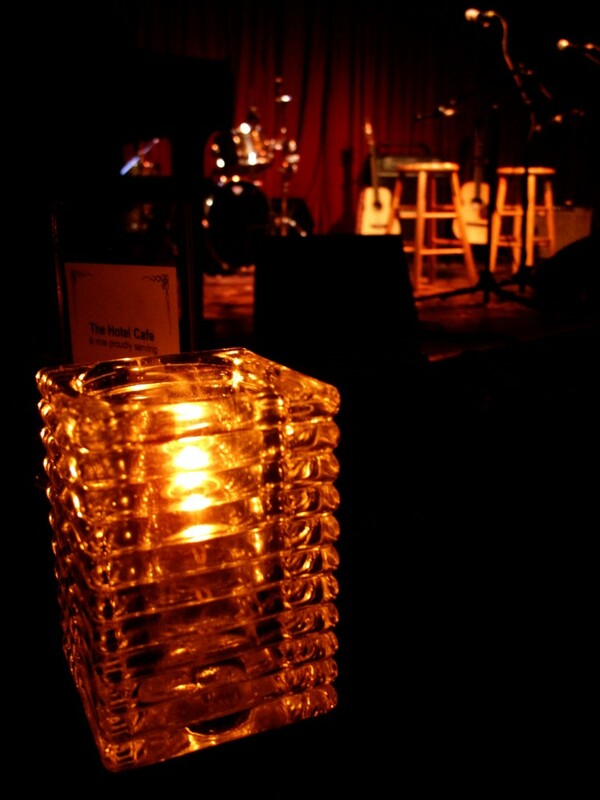 We got to The Hotel Cafe with a few minutes to spare before our friends in Sweet Talk Radio took the stage. This talented duo bring such beautiful entertainment to their fans, and they’re wonderful human beings to boot. So Mister and I were super-enjoying the concert, as we expected, when I started to feel a little warm and thought I should step outside. When I reached the lobby, I saw the ladies room across the way and headed toward it. I felt woozy, which was odd, as I wasn’t drunk. I tried to make it to the door, one slow step at a time. When I finally placed my hand on the door, it was locked. I leaned against the adjacent wall and tried to focus my vision. And that’s when I started to fall. I slid down the wall and hit the floor. I looked around and saw other club-goers, drinking and chatting. And that was it. I fainted. Next thing I knew, 3 employees were talking to me and asking if I was okay. I remember saying I was really hot and dizzy. The chick asked if I needed to use the restroom and I said yes. She told me to keep the door unlocked, in case she needed to come in and check on me. I obeyed and somehow managed to navigate that process without falling down. When I left the ladies room, I was escorted over to a seat and given some water. To their credit, the folks at Hotel Cafe were just swell. I sat for only a few minutes, under their watchful eyes, and then Mister came out and freaked a little bit before helping me to the car and driving me home. I can’t remember the last time I fainted before this. It’s simply not a common occurrence. I also can’t remember the last time I was so stuffed I needed Oompa Loompas to roll me to the juicing room. It was crazy. And perfect. Almost perfect, that is. You ever have one of those nights where the stars align? Where you find yourself with plans to beat all plans? And have you ever had a single star that refused to get in line, refused to cooperate? That was how our night went. And it was almost perfect.